Moby Wonder is a new-generation cruise ferry with a massive capacity for vehicles and passengers and a huge range of onboard services including luxury cabins and suites, numerous places to eat and drink, an outdoor swimming pool with sundeck, an onboard shopping centre, a children’s play area and much more. 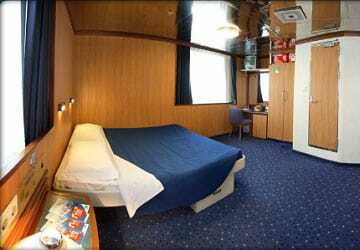 There's a choice of air-conditioned en-suite cabins on the Moby Wonder cruise ferry available as inside or sea view ('outside'). 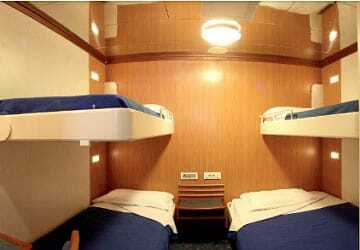 The ship also features 'junior suites' for up to 4 people and for those who'd prefer not to book a cabin there is a reserved seating area equipped with coach seats. 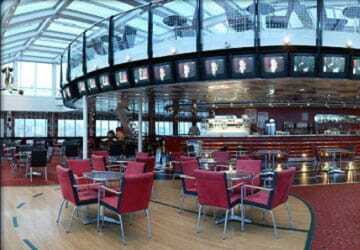 Onboard Moby Lines Moby Wonder there's an à la carte restaurant where chefs create delicious meals using typical Mediterranean ingredients. In the self-service restaurant there's a range of freshly cooked delicious dishes or you could head to the pizzapoint for an authentic Italian pizza. 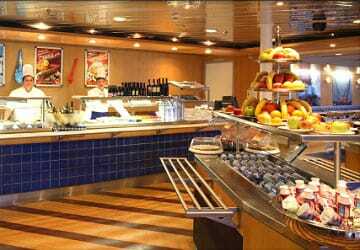 There are also 4 cafeterias, a snack bar and an ice cream parlour. 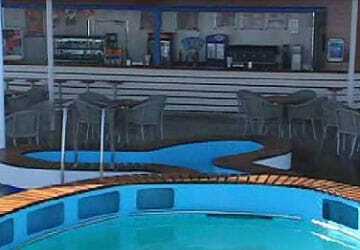 If you fancy a drink while you're topping up your tan then the Lido Bar on the sundeck is the place for you or if you want a relaxing evening sipping cocktails then head to the Piano bar. 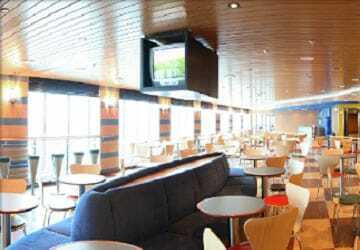 There is also a coffee shop and a sports bar where you can catch up with the latest sporting events on a big screen TV. 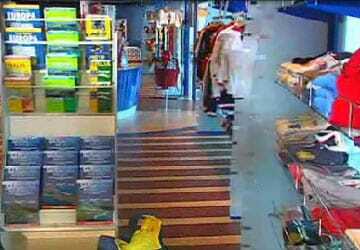 You can buy just about anything in the Moby Wonder onboard shopping centre including clothing, children’s toys, maps, magazines and books. The luxurious Moby Wonder also features a swimming pool with sundeck, panoramic lounge, kennels for domestic pets and satellite television. 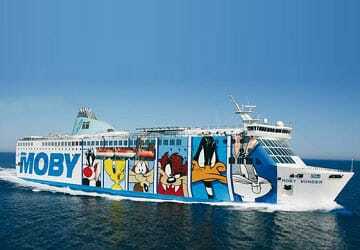 For children, travelling with Moby Lines will be a trip into a world of imagination, not least due to the Looney Tunes branding and figures which can be found everywhere onboard. Moby Wonder has a dedicated children’s play area called 'Children's World'. There's also a videogames room bursting with games for older children too. Please Note: Whilst we have taken great care in making our Moby Wonder guide as accurate as possible, onboard facilities, services and entertainment may vary depending on the date and time of year that you travel, facilities mentioned may change without notification and ferry companies reserve the right to operate vessels other than those mentioned at time of booking without prior notification. 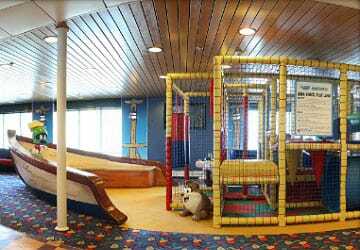 Beautiful journey, we travelled in day time, the staff was simply amazing, kind and helpful, excellent cleaning and our kids had so much fun. We also saw the dolphins. I recommend it. "Olbia to Genoa 18th/19th July"
very pleasant trip in double cabin - just be aware that Moby has no water dispenser and the water in the taps isn't drinkable so bring some on board - that's the one thing I'd do differently next time. It was my second journey with Moby lines. It's a reliable company. The schedule is respected. 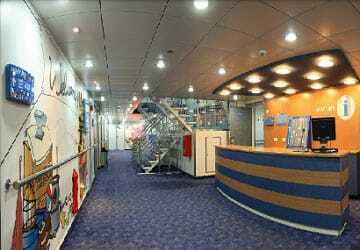 The reception and the service on board are good. It's a good value for money. I remain convinced that it's better to go to Corsica from the Italian coast. Comfortable, punctual, efficient and very clean. I recommend it to everybody. it is the first time that I travel with Moby lines and after I have read some negative reviews I was prepared for everything. I decided to travel with Moby because for me was a comfortable solution departing from Genoa. 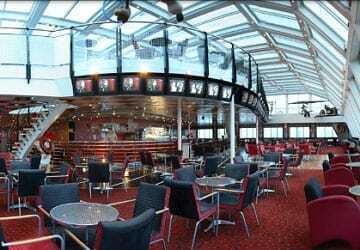 I was pleasantly surprised the ship was not so crowded and the staff were quite kind and helpful, the ship was really clean, the cabin was quite nice it seemed like a five star hotel.. Good job! The jourey itself was perfect. There was a bit of congestion when offloading in Genoa. 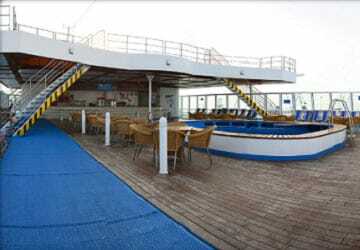 "Cruise 26/09/2013 Olbia to Genoa "
in particular the ship on the way back Olbia-Genoa was great. 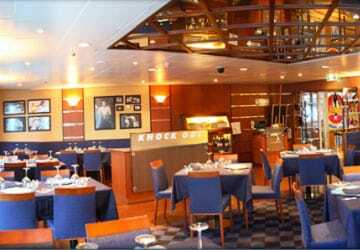 The restaurant top and the service excellent. 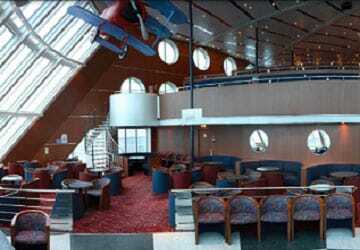 Congratulations to the super crew and the modern ship with very nice cabins! Travelled went well, in the return journey we took a cabin for two people, it was clean well presented, I have travelled with other companies to Sicily but I found the Moby lines to be the best one. 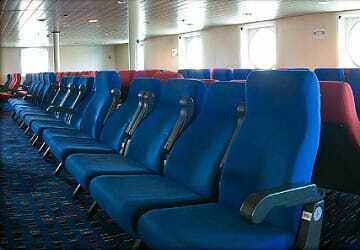 my journey was peaceful, but we didn't used the armchairs because we didn't like where they were situated.